Are you having trouble with your electrical system? Do you want to add some new lighting to your home? Let’s face it, electrical work is not for the uninitiated. It takes a significant body of learning, the sort of professional skill that only comes with experience, and a good deal of flexibility to make each and every project a success. At KB Electric LLC, we have over 35 years of experience providing the kind of first-class electrical work that gets the job done right. This includes remodeling and addition work, computer wiring, ceiling fans, equipment hook-ups, lighting, and a number of other types of jobs. Call us today for an estimate and consultation on your next electrical project! Residential & Commercial Electrical Contractor with over 14 years experience working with homeowners, builders, architects and designers in Bucks County, PA.
Wes Carver Electrical Contracting, Inc. If you are looking for an Electrician to do work in your home, you have come to the right place! Since 1999, Wes Carver Electric has been the friendly neighborhood electrician that you can count on for all of your electrical needs. We serve most local communities throughout Bucks & Montgomery counties, and some areas of Philadelphia. Our licensed electricians tackle jobs ranging from small repairs and troubleshooting to larger projects such as landscape lighting, generators, old home rewires, and ductless HVAC. 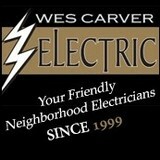 For prompt and professional service, contact us at (215) 855-3340 or visit www.wescarverelectric.com. GEN3 Electric is your friendly neighborhood electricians, specializing in repairing, updating and servicing Philadelphia and Plymouth Meeting building’s indoor and outdoor electrical wiring and lighting. As licensed contractors, our prompt response, honest pricing and respect for your home ensures your 100% satisfaction. Gen3's licensed electricians are trained, certified and current on all electrical standards, ready to solve the myriad of residential electrical problems, from old buildings to new construction. We are also a 203k certified contractor. 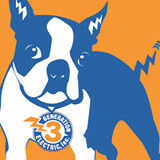 Gen3 was proud to be named 2012 Best of Philly - Best Electrician and an Angie's List Super Service Award winner since 2006. We support local neighborhood associations through community events and promote sustainable business practices. Tighe Electrical is a full service electrical contracting company based in Havertown in Haverford Township, that provides all phases of service in the residential and commercial electrical field. We are a family owned and operated business, managed and run by Aiden Tighe. He served his apprenticeship in Ireland as a young man and moved to the US in 1996. It was here where he fine tuned his craft working for local companies. In 2001 after working in the trade for 10 years, Aiden started Tighe Electrical. Since its beginning, Tighe Electrical has remained a company that is dedicated to providing top quality service. Brady & Son Electric is an experienced company that has been serving delaware county and surrounding areas for years. Our attention to detail is what keeps our customers coming back for repeat business, as well as referring our company to business associates, friends, and family. Brady & Son Electric strives to serve you with the finest customer service available. We are highly skilled, thoroughly experienced and exceedingly trained to handle all of the variables in our industry. Since experience counts, you can trust that we “can” and “will” get the job done right the first time. At Brady & Son Electric we strive to impress you, not just meet your expectations. We take a lot of pride in the fact that quality service, craftsmanship and value are the cornerstones of our business. By referral and direct experience, Brady & Son Electric customers have come to know that we honor our commitments and deliver results. Danzot Electric is a residential lighting installation company that specializes in home decor lighting. We also able to address all your homes' electrical needs, from new service entrance to a job as small as changing out a receptacle. We are clean, fast and our work is always guaranteed. Your safety is our number one priority! Bill Mullen Electric has fully trained and licensed personnel serving electrical repair and services to new and old homes. We are specialized in all types of decorative lighting in centennial homes. When you call Bill Mullen Electric, a friendly person will answer the phone ready to help you get the electrical service solution you need. With more than 28 years of experience, Bill Mullen Electric can handle any size electrical job. We are a family-owned company that welcomes the opportunity to bid on commercial and industrial work as well. Call us today and have a trained electrician handle all of your electrical needs including wiring, CCTV installation, violation removal, indoor and outdoor, low and high voltage work and more. Because of our experience, we operate every job in the most efficient manner. We finish on time and on budget. With constant supervision of all wiring and electrical work we do, we make sure to get the job done safely the first time. Whether you are a residential, commercial or industrial customer, we are more than happy to offer our expert assistance at extremely cost effective rates. DiGregorio Electric is a family-owned and owner operated full-service electrical contracting business. We preform all types of electrical services such as electrical service upgrades, lighting, rewiring of older homes, wiring of new homes, kitchens and baths. We also provide services for standby generators sales, service and installation. We preform work for private residential, commercial, sub contracting, investors and Real Estate professionals. Feel free to call for more information! D & D Electric Enterprises, Inc. was established in 1987 as a full service electrical contracting company serving residential and commercial customers. We have all the equipment and electricians needed to perform the smallest job to the largest job. We offer excellent service in a timely fashion. Our electricians are well trained to troubleshoot any electrical problem. Our electricians show up on time for scheduled appointments. Our service fleet are fully stocked and are ready for the smallest to largest job. We are a AAA rated contractor and guarantee quality installations. We go above and beyond other contractors to make sure the job is done right the first time. We are committed to customer satisfaction. We have a great reputation for quality service and work. Next time you need an electrician, give us a try. You will not regret it. 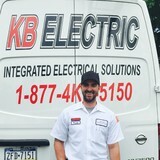 Kelly Electric Company Inc. is a family owned and operated electrical contractor business, located in Havertown PA and Media PA, offering residential and commercial electrical services and repair. All Phase Electric Company is a full-service electrical contracting company known for its outstanding reputation in reliability, integrity and customer satisfaction. We specialize in residential, commercial and industrial work throughout the Main Line and Delaware Valley. Owned and operated by Chris Caniglia for over 25 years, All Phase Electric Company’s reputation for excellence, quality and service was built one job at a time. Our customers, small and large receive the same personal service, quality materials, and skilled craftsmanship. 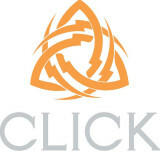 All Phase Electric Company has been earning customer trust and keeping it since our initial startup. As a testimonial to our high standards, some of our original customers are still with us today. Our business thrives when our customers are satisfied, so we take every possible measure to ensure that you receive top quality at a fair price, every time. All Phase Electric continues to grow today due to its ability to combine the latest in electrical advancements and cutting edge technology while still delivering the highest quality service to each and every customer. With its highly trained and skilled team members, All Phase Electric continues to provide top notch quality, safety, and efficiency on every project. Our vision for the future in an ever changing environment is to continue to provide services unmatched by others in the industry by adding the highest quality talent to our expert staff while adapting to all future advancements in our field. Electrical contractor servicing the Philadelphia and the surrounding counties. We will handle your Residential and Commercial electrical needs, from lighting to standby generators no job is too small. Allow Campbell Electric to Light up Your Life. What do licensed Norristown electricians do? An electrical contractor plans, installs and repairs wiring in structures. He or she works closely with the home’s general contractor or remodeling contractor to determine the specific electrical needs for the project and to ensure that the wiring will meet Norristown, PA building codes. An electrical contractor’s job also includes installing and repairing fixtures, switches and other visible components of electrical systems. With today’s technological needs and advances, many electricians in Norristown, PA also are trained to install fiber optic and coaxial cables for electronic equipment. Certain electrical companies may design and install data systems and wire for security features such as alarms too. Some Norristown electrical contractors specialize in specific areas, such as HVAC, low-voltage appliances and systems and more, so be sure to ask about their training to see if it fits your project needs. Find a certified Norristown electrician on Houzz. Narrow your search in the Professionals section of the website to Norristown, PA electrical contractors. Here are some related professionals and vendors to complement the work of electricians: Lighting Showrooms & Sales, General Contractors, Solar Energy Contractors, Heating & Cooling Sales & Repair.